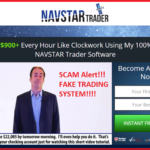 Terabit Trader System Review - Scam Software Busted By Sofy! Terabit Trader System Review – Scam Software Busted By Sofy! Terabit Trader is latest binary options trading system software which claims to make you $20,000 per day. Sounds too much interesting, right? We also get excited when we heard about it from some of our online traders. They received an invitation email from Terabit Trader system and spreading their promotional offers which are too good to be believed. But, unfortunately, there is no interesting and exciting stuff in the Terabit Trader system. We found this Terabit Trader a scam system which misleads traders by providing fake promises and fake claims. It is one of the new scam systems appeared in the binary options trading industry. You are really a lucky trader because you chose to do a little bit research about the system before making any investment and got the perfect site. Here, in this Terabit Trader review, we are going to expose all their lies and false promises one by one. We really, do care about our readers and that’s why we choose to bust this online fraud trader publicly. The story of Terabit Trader system came to the public recently, when they started to send random invitation emails to the online traders. When we did research about it, get to know everything. It started with an individual named Richard Heffner whom you found in the promotional video on the Terabit Trader website. He claimed himself as the CEO and Founder of ‘Terabit Trader’ system. 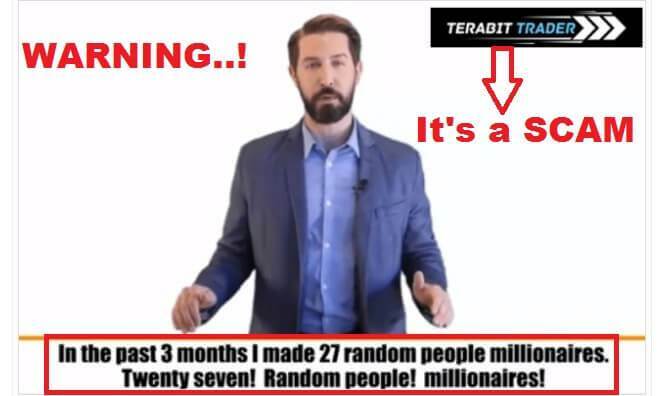 He has been seen on the video explaining that he has helped 27 random people to make millionaire in the past three months. And it all becomes possible with his innovative binary options trading system that runs on auto trade mode which is totally risk free. Also, he claims that users can make $20,000 per day with the system and they are giving you 100% guarantee about it. He said the system is based on an optical data transmission technology which makes it impossible to lose any trade. The algorithms used in the system predicts the winning trades pretty well and gives the users a total risk free trade. Well, that’s not true. They are just trying to mislead people by fake statements. So, don’t just let such systems make you fool. 1. First of all, let’s talk about the self-acclaimed CEO and Founder, Mr. Richard Heffner. Actually, the name Richard Heffner doesn’t exist in real. 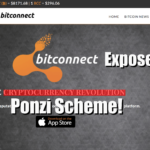 The person appeared in the video was seen earlier with many other scam systems with a different name. That mean’s he is a paid actor who is hired for promoting the system. Actors like Richard easily found on Fiverr.com, an online marketplace with cheap rate. 2. Moreover, Richard claimed that he made 27 random people millionaire within three months. Well, making 27 people millionaire within just 90 days with a legit binary options trading software is impossible. It only possible if you promote a scam system with lots of unrealistic data and information. And the testimonials also shows the fabricated earning figures. 3. In one of the testimonials, it is listed that Terabit Trader system has changed a person’s life overnight. He claimed to be made over $15,000 in first 5 days using this autopilot system. 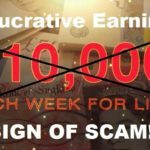 But, the question is, if the system gives you the guaranteed earning of $20,000 in a day, So, in 5 days the earning figure must be near about 1 lac USD. It seems like, they are not sure about what they are claiming. Another point is, it’s simply impossible to earn that much figure in a day with binary options auto trade software. In binary options trading, no software will give the 100% winning results. As winning or losing a trade depends on many factors, so there must be variations in the success rate. So, how can they guarantee earning of 20,000 USD in a day, it’s just out of our knowledge? It’s a simple trick to manipulate you, so they could grab your deposits. 4. Another important point that we have seen, the trading bot of Terabit Trader gives the investors very limited options to configure the trading software. 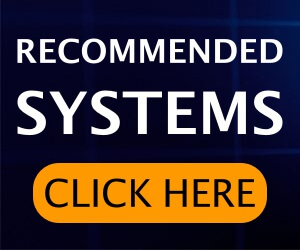 It provides only 3 configure option for a trade, whereas, a good and reliable binary options trading system gives you more than 25 configurable options before placing the trade. As the system totally runs on auto trade, so you need to have full control of your software and trade bot. But, if there will be compromisation issues, then it might lead you to lose all your investment. 5. Terabit Trader employs some unlicensed brokers to its users. Those who have invested their money so early complained that they are getting connected with some unregistered brokers who are not regulated by FCA or don’t have the CySEC license. So, that’s one of the big disadvantages of Terabit Trader system. Yes! Definitely, it’s a scam system. There should be no doubt about it. 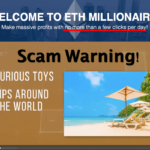 A system which claims to have some unrealistic earning amounts, provides misleading information, fake promises, using paid actors for their promotion, must be one of the big scam systems discovered in binary options trading. Also, they didn’t forget to mention it that, the system has used cutting-edge algorithms just like the Wall Street trading firms and it will predict the best trade options for their users. During, this Terabit Trader Review, you couldn’t find any positive side or valuable information. Only, misleading and unrealistic data are given on the website. So, definitely, they are not a reliable option. Terabit Trader is nothing but a bogus system which appears in binary options trading to looted traders like your’s hard earned money. It’s a filthy money making system providing wrong data and misguide you. So, you are advised to avoid any kind of invitation from this scam system. Is 24AlgoTrader Scam? Unbiased 24Algo Trader Software Review! 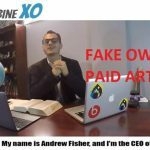 Turbine XO Scam Review – Why This Software Is Not TrustWorthy? Nadex is available for USA citizens but auto-trading feature is not available. hey this is gary i got in on the Terabittrader system and got ripoff is there anything we can do to get the money back of of terbittrader and Mr Richard Hfffner. File a dispute with your card provider. Yes it is a scam I can confirm.